Born in Cairo, Egypt, Fathi Saad obtained his veterinary degree from the College of Veterinary Medicine, Cairo University, Egypt in 1966. He completed his PhD degree at the Department of Poultry Diseases, Faculty of Veterinary Medicine, Cairo University, in 1970. He served in this department as a Lecturer, Assistant Professor and Professor, and in 1992 he became Head of the department. From 1996-1998, he was the Vice Dean for students and educational affairs, and later served as the Dean of the College of Veterinary Medicine, Cairo University. In 1998, he became Vice Chancellor of Cairo University. He was an Expert for the Agriculture and Water Ministry, Saudi Arabia from 1974-1978, and from 1987 to 1991 he served as professor of poultry diseases at the Faculty of Veterinary Science, King Faisal University, Saudi Arabia. In 1999, Dr. Fathi Saad became a national Egyptian figure through his service as Governor of the State of Gharbya (1999-2004), Governor of the State of Giza (2004-2008), and finally, as Governor of the State of 6 October (2008-2011). He currently serves as a board member of the 6 October University and Al-Ahram Canadian University. 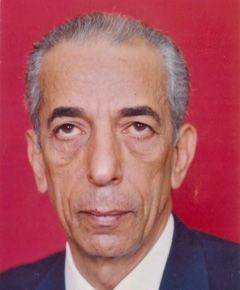 Dr. Saad and the late Professor Ahmed Ali Sami established the Egyptian branch of the WVPA in 1986; he served as its president from 2006 until the present time. He also played a key role in organizing the XII World WVPA Congress in Cairo in 2002. His contributions to poultry diseases have been recognized through awards from industry, academia and government. He has served as a scientific advisor for several poultry companies in Egypt and other Arabic countries. During the last four decades, he has chaired many of the Egyptian governmental committees related to poultry diseases and production. His knowledge and expertise were fundamental to enhancing and growing the poultry industry in Egypt and the Middle East. Dr. Saad’s research program has been focused on diagnosis, epidemiology and control of poultry diseases. He has authored or co-authored numerous publications in national and international peer-reviewed journals. He has supervised 45 Masters and PhD students. Outside work, he has a keen interest in politics and sport. He lives for his family, grandchildren and friends.